Our services are delivered by our team with years of experience who are passionate about making films and artwork. Thats our passion, our compassion, life and art. To entertain, experience and poetically express stories that breathe. Learning grows with sharing, we teach in film school and workshops, to grow together in Art world. Good team work and best in time, with unique perspective and details to subject in documentaries like Rusini with sure handwork and homework. . Liked your feature film Ujo Viktor. Ujo Viktor sa mi zdá zaujímavý, pretože sa v ňom objavujú problémy, o ktorých sa dnes nehovorí, ale ktoré sú na Slovensku prítomné. Väčšina ľudí nehladuje, majú byty, domy, autá, ale mnohí z nich nedokážu dať svojim životom zmysel. Prežierajú sa do svetlej budúcnosti. Páči sa mi, že cez storočie vstupujete do dialógu s Čechovovým Ujom Váňom, že sa pokúšate rozprávať o podobných témach, ale na novom materiály. Z hľadiska filmovej reči sa mi páčia situácie z minimom dialógov. Good work Viktoria, Ranjan and team. Film like Ujo Viktor made my memories of old communist time Czechoslovakia and friends from Russia, alive, I was able to connect, and even see it in universal context, the lives of old generation and confrontation of broken dreams. Beautiful film and hard work team. Short poetic documentary Prabhat Nagari (directed by Aman Wadhan) and edited by Ranjan Rampal on Prabhat studio, invokes origins, but only to put the ghosts to rest with dignity. And, if this short film was just that –an invocation — it would not resonate with us as it does. Beautifully structured and choreographed, the film suggests, the wind blows all around us, singing. Good work team. Ranjan Rampal is a film maker (editor) and poet, born in India, working and living in Central Europe. He has studied Post Graduate Diploma in Film and Television (Film Editing) at Film & Television Institute of India, Pune, Maharashtra; and 2 years studies in Film Editing at FAMU, Prague. He has edited various short and long narrative fiction and documentary films with poetry, experimental and music videos during the last twelve years of work. He had studied Bachelors in Journalism and Mass Communication and did work in Newspapers, Television and even organized events before entering film making. Now he is part time teaching at films schools like FAMU, Prague and at various workshops in Europe and India and also has been part as jury of some film festivals like Koloritfest, Prague. He has recently edited his first feature film in Russian, Slovak and Czech, directed by his wife Viktoria Rampal Dzurenko, named “Ujo Viktor (Uncle Victor)” and is working on new feature film and long documentaries. He has also directed some shorts and documentaries. Viktória Rampal Dzurenko is a Film Director and Painter. She has made several short and long narrative and documentary films with experimental and music videos in Central Europe and India. She is now doing her Phd in Film Direction, with concentration in Indian Independent Cinema, at FAMU and also teaching there. She has studied Masters and Bachelors in Film Direction at FAMU, Prague; Masters in Aesthetics and Fine Arts (Painting) at University of Konstantin Filozof Philosophy and Pedagogy Faculty. Recently she has directed her first First Feature Film ” UJO VIKTOR” (Uncle Victor). She is married to an Indian Film maker (editor) and poet Ranjan Rampal and making films together. And now she is working on her 3 new feature films, one together with same Writer and friend Marek Grajciar, who worked with her in Ujo Viktor and more documentaries. 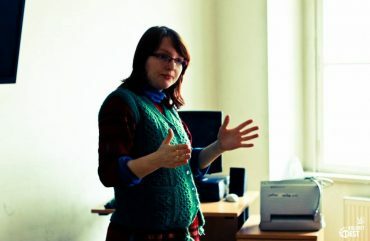 Kateřina Klaricová is a Film Photography Curator and Teacher. And she has been officer at FAMU and do teach the use of light and color in artistic expression at FAMU. An handsome writer with a talent of telling a story beautifully. Studied Masters in Script writing at FAMU, Prague and wrote several stories and worked for short and feature films in Slovakia and Czech Republic. 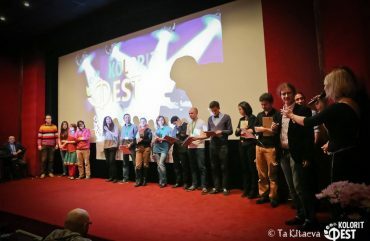 Recently wrote screenplay for feature films like Ujo Viktor and Praho, má lásko. Now working on 2 feature films. A spontaneous passionate writer with a talent of telling a story differently. Studied Script writing at FAMU, Prague and wrote several stories and worked for short and feature films in Czech Republic. Recently writing screenplay for future feature film for Viktoria. A confident actress, poet and fire performer with a talent of bringing character live in a story beautifully. Studied Acting and worked in feature and short films in Prague. Recently acted in feature films like Ujo Viktor and Praho, má lásko. Also do fire shows with her friends in Scotland. Our very good friend and musician who has studied at HAMU and brings compositions from Czech Republic, Slovakia and from India into one rhythm making audience mesmerised. Recently worked with us and gave his best compositions in feature films Ujo Viktor. Jitendra Solanki (Madhuram ) is a Cinematographer. He has studied Post Graduate Diploma in Film and Television (Film Editing) at Film & Television Institute of India, Pune, Maharashtra. He has done camera for various short and long narrative fiction and documentary films with corporate, event and music videos during the last ten years of work. Recently we made a Long Short Indian Romantic Comedy film which will be soon ready for festivals. Sourabh Waghmare is a Cinematographer. He has studied Cinematography at FAMU International, Prague. He has done camera for various short and long narrative fiction and documentary films with corporate, event and music videos. We recently made a beautiful music video together. We will be happy to associate with you, give us a chance. Work with us or support our projects. We need funds for our 3 feature film and 3 documentary projects. one stop, International group of creative artists spread over Central Europe and India. we are ViktoRi Films, a creative, production and post production group (Network) run by film professionals from Slovakia, Czech Republic and India whose exclusive focus is film, documentary, music, TV commercial and corporate film production, post and creative process. ViktoRi Films combines a wealth of experience, learning and film making skills. Our quality ideas and a love and understanding of art, and passion and network of creative people in focussed states allow us to deliver projects beautifully. INNOVATIVE ARTWORK and CREATIVE FILMS THAT INSPIRES. Why ViktoRI. As Victory is all what all wants, and we provide it to film productions and artwork as innovative artists team spread over Central Europe and India, as our best. We are ART and film Production Group expanding in Prague, Czech Republic, Slovakia and in India. Initiated by Ranjan Rampal and Viktoria Rampal Dzurenko. With new ideas and innovative styles we bring films and artwork like paintings to life. Not hesitate to experiment in our work. Music makes fire inside when seen through our eyes. Best way to showcase your ideas and work. Its not a film on your company or People like you but its more than a Film with a story of yours. Promising projects with happy promising team. Your wedding is a beautiful memory and gets more memorable when we click your photos and capture you in videos. We know how important is to capture your childs smile. P h o t o g r a p h y . and ..
For every moment we are there. Its easy to work with us. Also we need your support for our upcoming projects. Please check.